Atelier Tracy K.: Digital Scrapbooking Freebie!! I'm sure there are a few people out there in the World who remember that I used to have a digital scrapbooking freebie blog. I gave away a freebie a day for over a year. It became exhausting so I gave it up but I miss it sometimes. 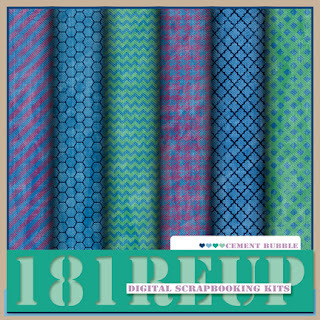 I also designed and sold digital scrapbooking kits for 5 years. When I moved home to Quebec I gave that up too, mostly because the economy was so bad 2 years ago that there wasn't much money to be made at it. For the amount of time I put into designing my kits 8+ hours a day to make less than $100 at the end of the week just didn't make financial sense. It didn't make family sense either. My kids needed Mommy and I felt I was spending too much time staring at my computer screen and not enough time being Mom. That being said, here is a new freebie!!! Lets call it a labor of love ok? I hope someone out there enjoys them as much as I enjoyed designing them. I will be making elements to go with them soon so stay tuned.